Explore the grandeur of northern California for 24 days! 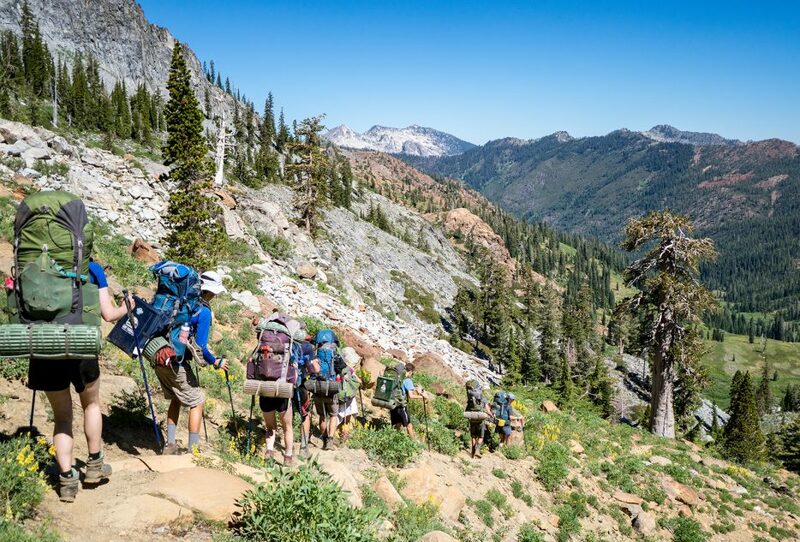 Hike through the Shasta-Trinity Alps, one of the most beautiful wilderness areas we visit. Experience immense bonding with your new friends while whitewater rafting the Middle and Upper Klamath River. Mountain bike and rock climb in the shadows of Mt. 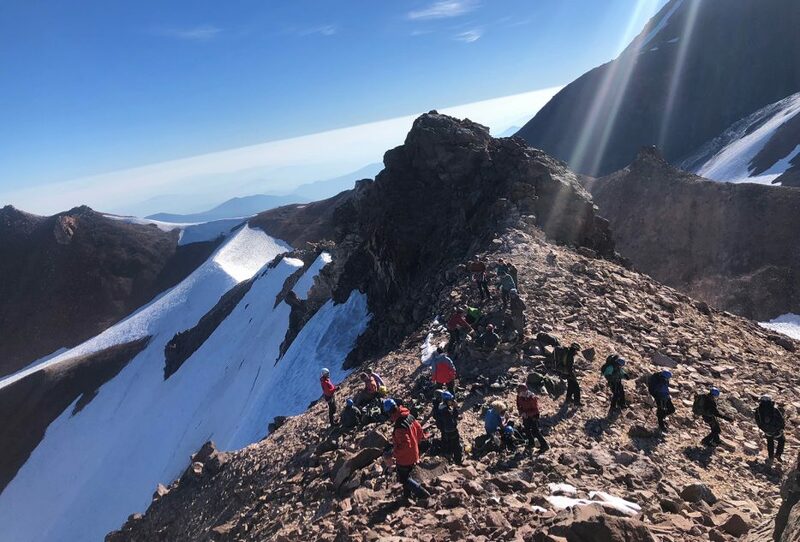 Shasta before preparing for a summit attempt of this famous California 14er. 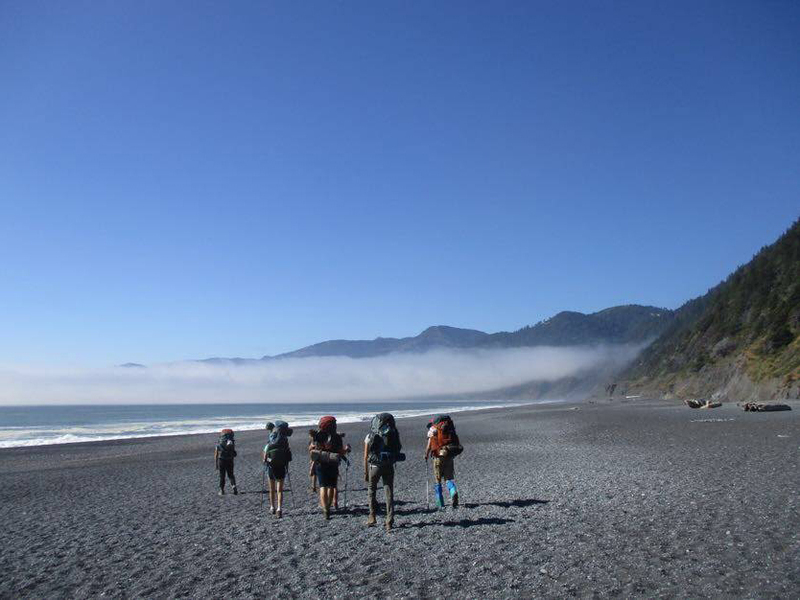 Discover why the Lost Coast is aptly named while backpacking along secluded beaches. Finish your trip with a day hike among the world’s most majestic trees in Humboldt Redwoods State Park. The Trinity Alps range was named after its more famous European counterpart due to its spectacular granite peaks and domes. Spend four days wandering through valleys carved by glaciers long ago. 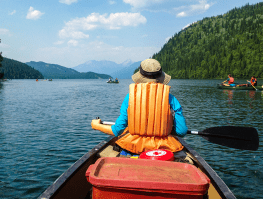 In the afternoon, cool off with a refreshing swim in one of the region’s hundreds of alpine lakes! At night, settle in with your new best friends, blanketed by the brightest stars you’ve ever seen. Head a bit north to southern Oregon to ride the nonstop flow of the Upper Klamath. Drop down more than 30 class III and IV rapids on this Wild and Scenic River, surrounded by the volcano-peppered Cascade Range. This one is a thrill ride! 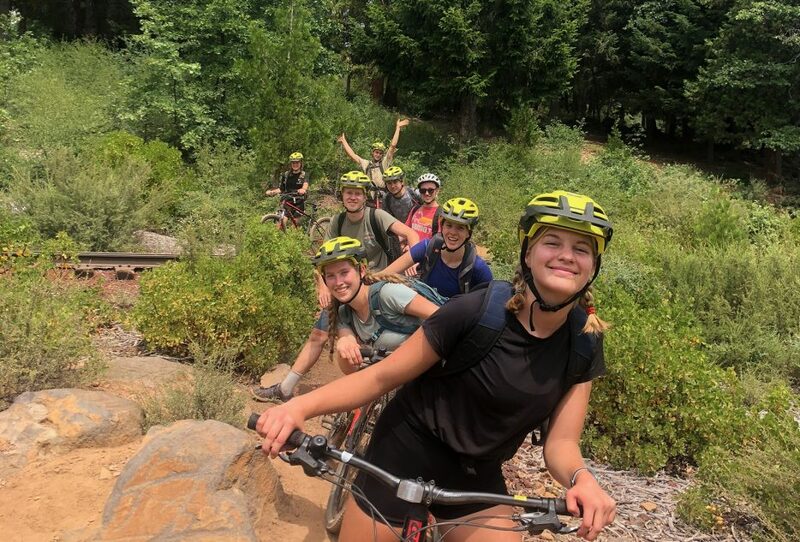 No matter your skill level, all students love to ride around Lake Siskiyou. Nestled at the foot of 14,179-foot Mt. Shasta, you can choose to ride the fun downhills or take a mellower approach on more beginner-friendly tracks as you alternately wind through thickly forested areas and wide-open trails. This beautiful riverside crag has routes for all abilities. Progress in difficulty as you feel ready, and when it’s time to cool off, jump into one of several swimming holes in the Sacramento River just a few yards away! 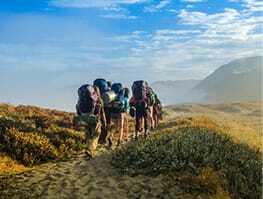 We spend three memorable days on this huge, 14,162-foot mountain that commands the landscape of northern California. 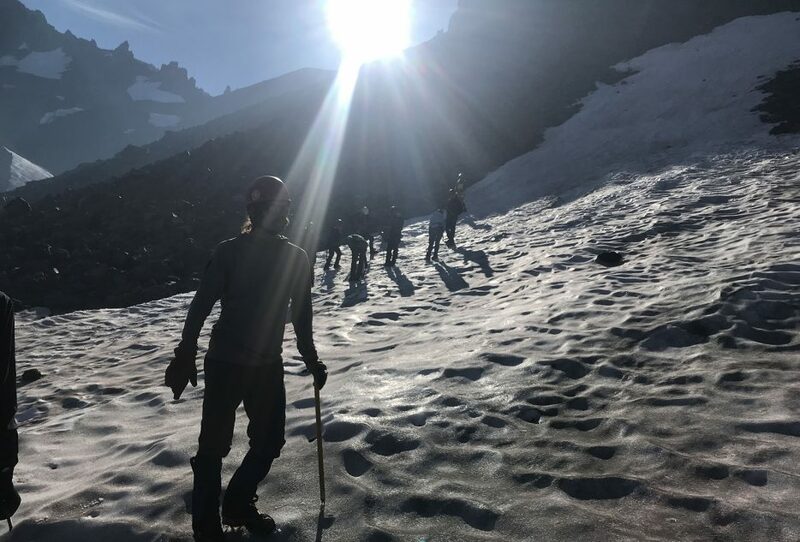 First, learn how to use ice axes and crampons in “snow school.” Then for our summit attempt, we wake up when it’s still dark to start our hike—our reward is the most vibrant sunrise you’ve ever seen. Note: Depending on snowpack, we may take alternate routes or peaks (like Mt. Shastina, 12,329 feet) to ensure safe passage. 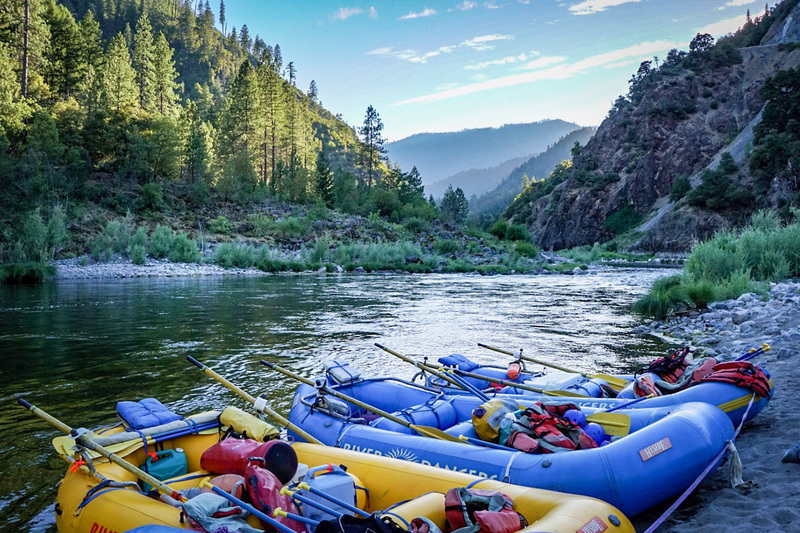 Spend three days bonding with your friends paddling inflatable kayaks and rafts down the Middle Klamath, the second-largest river in the state. Hop out of your raft and hike to some of the coolest waterfalls you’ve ever splashed around in, and gather around beautiful campsites at night. Top it all off with splash wars while you’re surrounded by dramatic, lush greenery! Immerse yourself in the wildness of the most untouched stretch of beach in the country. Journey for four days among black sand and pebbly beaches and hop over barnacled boulders. Learn how to read a tide table, with steep cliffs on one side, and the vast expanse of the Pacific on the other. Some days may have bluebird skies, while on others you’ll stroll in and out of mystical fog. 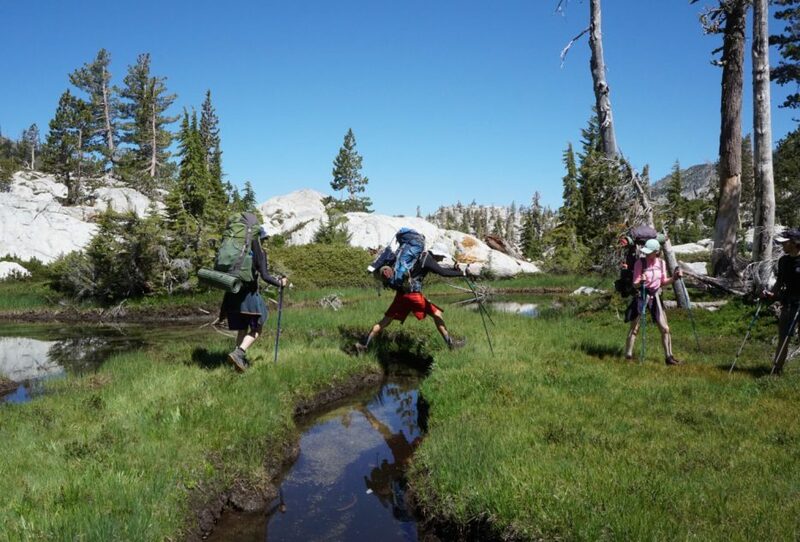 This is one magical hike you and your friends will never, ever forget. Abby had an amazing experience. She had so many opportunities that we could never offer her at home. She gained confidence in her physical abilities. It truly was an experience that she will never forget. 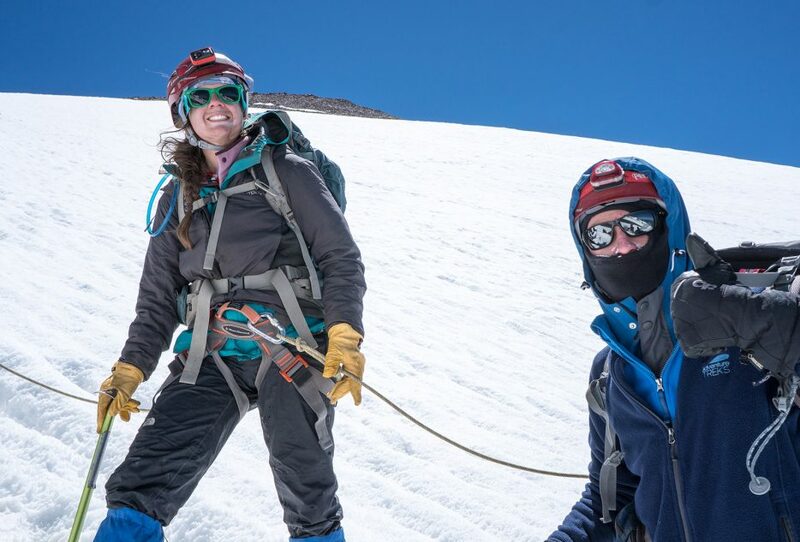 She can’t name one favorite thing—she loved it all, but she is most proud of summiting Mt. Shasta. 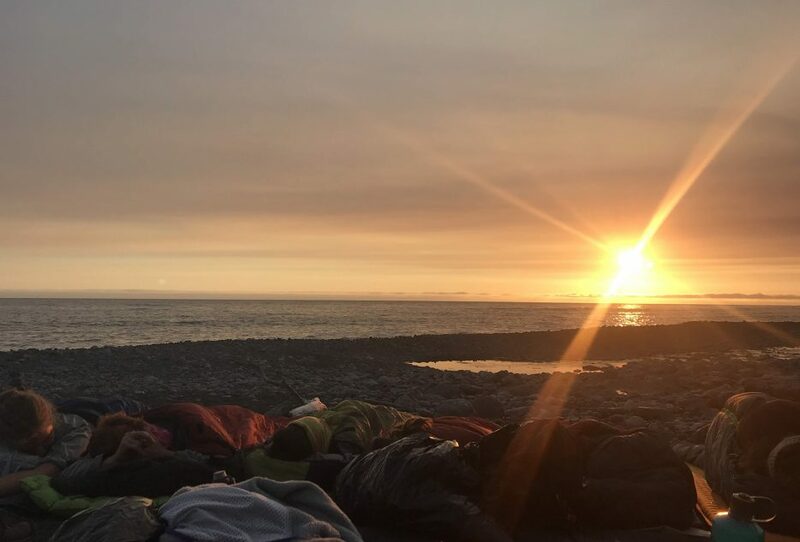 As Abby has talked about the trip, it is very obvious that an incredible amount of planning went into not only the long-term planning, but the day-to-day logistics. It really sounds like every detail is taken into account and planned out. Adventure Treks was a tremendous experience. Just by leaving my son gained some responsibility for getting himself there by himself. Once there, he seemed to fit right in and made friends easily. He really loved the adventure and the friends he made. He loved the whitewater rafting, and Mt. Shasta was a very memorable event. Overall, I would say that this was money very well spent, and he is already planning to go to Alaska next year with the friends he made this year. It was tough and challenging at times but a confidence-builder. Our son came away with new skills, new friends, and a more sure sense of his abilities. Our son said his trip was “Great! Over time, we built a strong community, and toward the end you felt more and more comfortable with your community.” Also, I felt that when I needed to speak to someone at the office, they were always available. He enjoyed every bit of it. 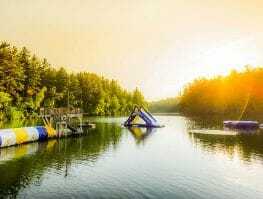 It is a rare opportunity for teens these days to be immersed in the outdoors and with so many different activities—mountain cycling, whitewater rafting, kayaking, rock climbing, backpacking, etc.—infused in one camp! 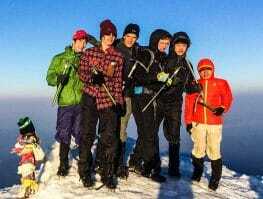 We liked that our son would be spending time in the great outdoors and being pushed to build tenacity. 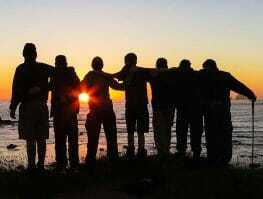 It was great that he is immersed with peers for so many days and that he could learn to work as a team. My daughter had a wonderful time. She signed up without knowing anyone who was going, but she met and got to know people that she said she probably wouldn’t have even talked to had she met them at school. She admitted that not having her phone for that long was great—she was truly disconnected from the real world for three weeks. I was so happy about what AT did for Faith’s acceptance of self and view of the world. 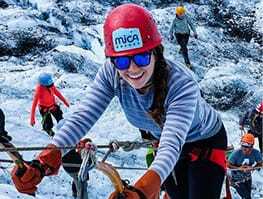 I was really proud of how she could step outside of her comfort zone both in the activities and those who she met in her AT community and be open to new experiences. I wanted her to go back to solidify a lot of what was started in 2017. Faith let herself feel uncomfortable and was rewarded for this by being able to believe in herself and her strengths. Her first year was so much about worrying about other people. This year, it was wonderful to see Faith continue to care for others but also let loose and allow her own growth through challenge. 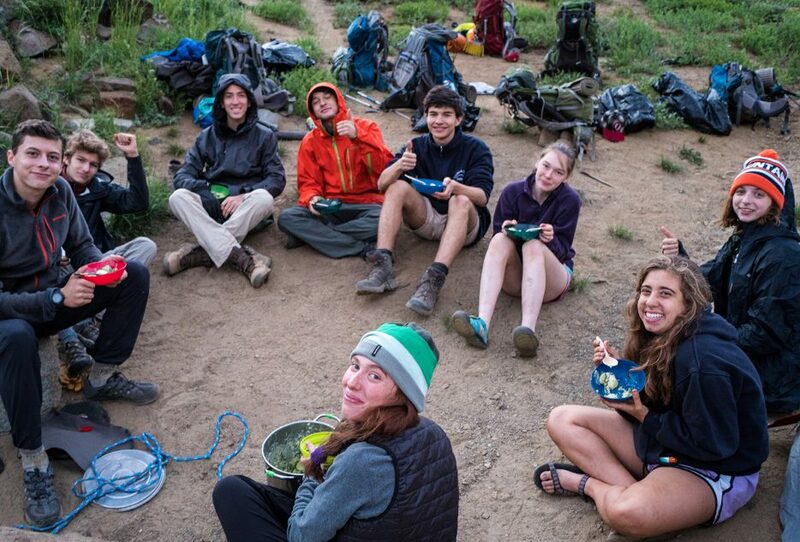 Adventure Treks is a life-changing experience. While all the activities are group-oriented, the growth and learning is unique and individual for each child. They are pushed outside of their comfort zones in ways that day-to-day life just can’t do. My son described his community as supportive, uplifting, and energetic. 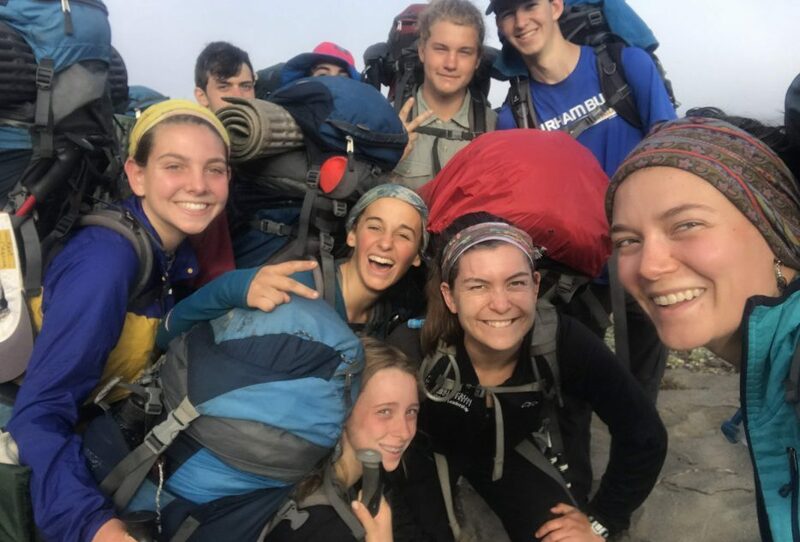 Alexander came home from his first Adventure Treks experience in 2017 telling tales of endurance, satisfaction, grit, excitement, endearment, and anticipation with an appetite for more of the same. The first trip was our idea, but the second trip in 2018 was all his idea. 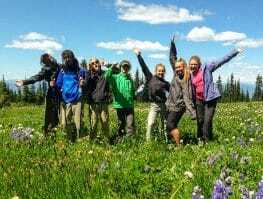 Adventure Treks has figured out that parents want their kids to experience at least a bit of life away from electronics. 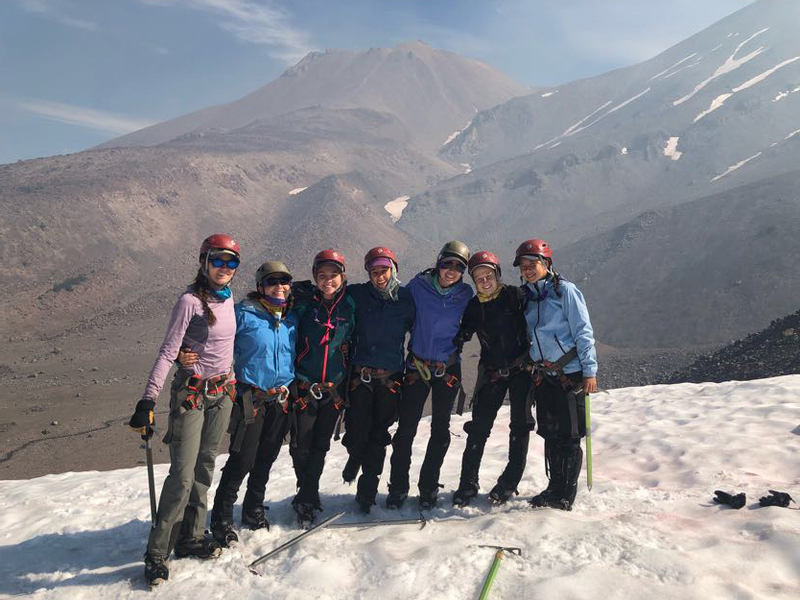 We need our kids to know that they can get through challenging and uncomfortable times while coming out the other side with memories of their achievements, their incredible adventures and lifelong friendships based on support, humor and shared experiences. 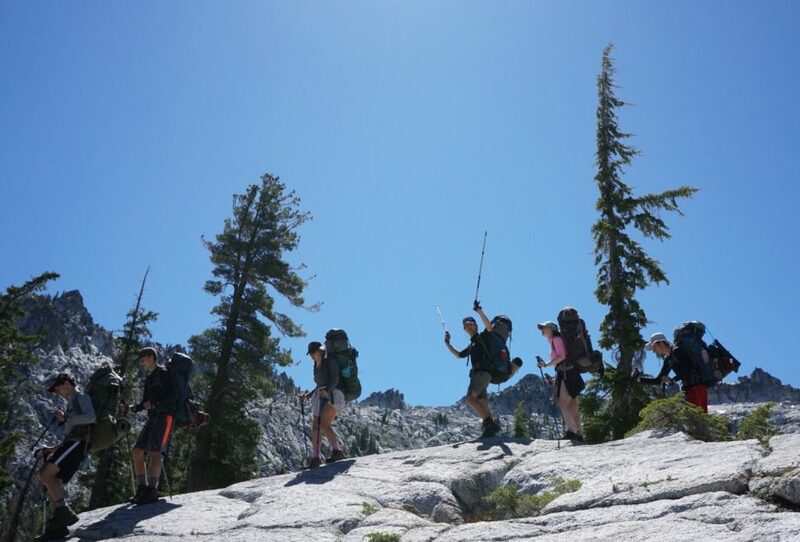 Adventure Treks is incredibly well organized and well run, and we implicitly trust our kids in their hands.